Sometimes I feel like I have to turn in my nerd card, because I have not jumped on what others are wholeheartedly embracing. I have never helped crowdfund a game or item using Kickstarter. The only reason I have a Kickstarter account is because I submitted a request to take a Kickstarter for that creepy dating advice for dudes book down. Now, I know some fantastic games or RPG items have come to exist because people threw their money at the projects. I even own quite a few of them. Shadowrun Returns is in my Steam library, for sure, and it’s a wonderfully oldschool game of one of my favorite RPGs settings ever. I fully intend to buy Pillars of Eternity, which looks to be fantastic and I am totally keeping my eyes on Torment: Tides of Numenera. I am really interested in Numenera as RPG system, and combining this with a Planescape: Torment style game? Awesome. I bought Green Ronin’s Advanced Bestiary for Pathfinder, which is supposed to be an outstanding book assisting in making monsters more challenging and exciting with new templates. I’m happy to give all these developers my money. Once the product has been finished. 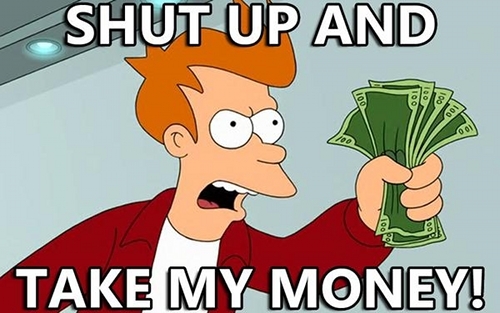 Kickstarters, especially when it comes to video games, often remind me of Early Access and Paid Alpha games. You are really placing your faith and your money in games that either don’t actually exist yet, or still need so much development time that your early access means you are a beta tester who pays for the privilege. By wholeheartedly embracing Early Access games like that, the amount of games like that increases because why not? Precious money to pump into further development. But what if the money is being squandered away? What if the game you helped fund never actually materializes? What if it’s actually quite crappy? What, if this article is absolutely correct, and on Kickstarter, everyone is Peter Molyneux, promising the world and delivering very very little? It’s been a while since it was published, but I thought the Peter Molyneux interview on RPS was absolutely fascinating. There are also plenty of Kickstarters out there regarding tabletop RPG stuff, and those, I am generally more positive about. For one, they have far lower development costs than video games, and thus, you can also expect to hold the results in your hands much earlier. I think I would happily have supported the World of Calidar Kickstarter, because I looooved Mystara, and I cannot state enough how much I am wowed by the ZEITGEIST adventure path. And yet, I much prefer finished goods. Which is why I decided that instead of crowdfunding I would prefer crowdsupporting. I am a great admirer of Raging Swan Press. It’s a very small publisher of mostly Pathfinder-related RPG sourcebooks and adventures. Mostly GM aids, really. There’s a lot of free stuff, e.g. their monthly series called GM’s Monthly Miscellany. A few months back I mailed their head (who has a great RPG blog too!) a couple questions on how to best tie their adventures together if you wanted to run them as a campaign, and he responded very helpfully. I mentioned to him if there were maybe plans for a subscription, because they release very regular content, and I really enjoy my adventure subscription I have from Paizo. He mentioned he was thinking about it, and a short time later, their website announced they now have a Patreon. I think Patreon in general is far less known than Kickstarter, but maybe that was just me. The first time I ever consciously heard about Patreon was when WoW Insider died to be reborn like a Phoenix as Blizzard Watch. They use a Patreon to finance the new site, and it appears to be really successful. Unlike Kickstarter, you don’t just throw your money at a project but you commit to support something with a monthly payment. I can put my money behind such a concept, and I do. Some Patreons have different backer levels, much like Kickstarter, and they set Milestones to reach to meet their goals. 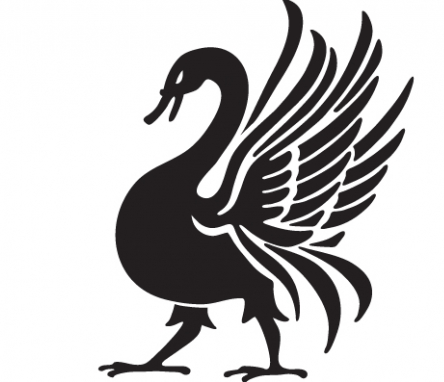 Raging Swan Press created their patron ultimately to be able to pay their freelancing authors more money. Creighton Broadhurst laid out how hard it is for 3rd Party Publishers for RPGs like Pathfinder or D&D to actually make a profit on their products. It’s a niche market in the first place and if it doesn’t say Paizo or Wizards of the Coast on the book, it’s even more of a niche. Because of the Patreon, RSP’s freelancers now get 3 cents a word. That’s still very little, but better than before. I back the Patreon by supporting every new game supplement with 2 USD. As RPS is very prolific, I capped my monthly contribution, and because of my backing level I get all the products that would cost less than 2.45 USD. Which is a lot of them, so it’s basically the subscription I had originally wanted. I found once you jump down the Patreon well, it becomes increasingly easy to support other endeavors. I am also pledging money to EN World’s Trailseeker, because I love the concept of printing out articles and have something that comes close to my beloved DRAGON and DUNGEON magazines from the past. I am also pledging some money to d20pfsrd.com because it’s by far the best Pathfinder System Reference Document out there. I realize that I am comparing apples to oranges, really. On Kickstarter you help fund massive projects, whereas on Patreon you help support content creators. The latter is far more ideal for bloggers and tabletop RPG creators. I just find the latter more appealing because it feels far more personal and there are immediate results. I am far happier buying fully released and financed computer games.